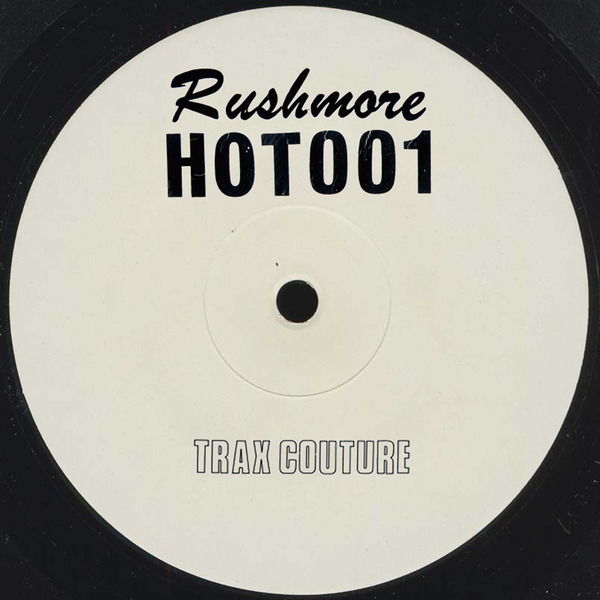 House Of Trax brings you resident/bossman, Rushmore's debut on their boxfresh Trax Couture label. Known to the capital's ravers as the finest booty, ballroom, footwork and house pimps, they bring all those flavours with a twist here, slyding the tempo scale from Booty juking ructions to throbbing house on the useful DJ tool '3000', and dicing with a deeper, rutted and stuttered drum machine sound on 'Low Slung'. Turn her over and he notches up surely the UK's finest Vogue/Ballroom tributes, rife with cowbells, "ha!" stabs and militant haughtiness in the rudeness of 'Harder' and to a more stripped-down, stabbing style on 'Couture'.